Custom sizing up to 42" x 96" ADD $80 for the Santa Fe Full or the Protecto Full. ADD $40 for all other models. 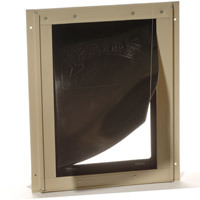 Double door sets are priced at two times the single door price. All of our Swinging Screen Doors are made of heavy duty extruded aluminum. They are much stronger and more durable than the steel screen doors you would find at your local home center. They will not rust like a steel door, sag like a vinyl door or require finish maintenance like a wood door. All doors have 3 hinges for added support. They are available in Black, Bronze, Almond, White and Satin Anodized finishes. All doors come with a locking door handle and an automatic self-closer. 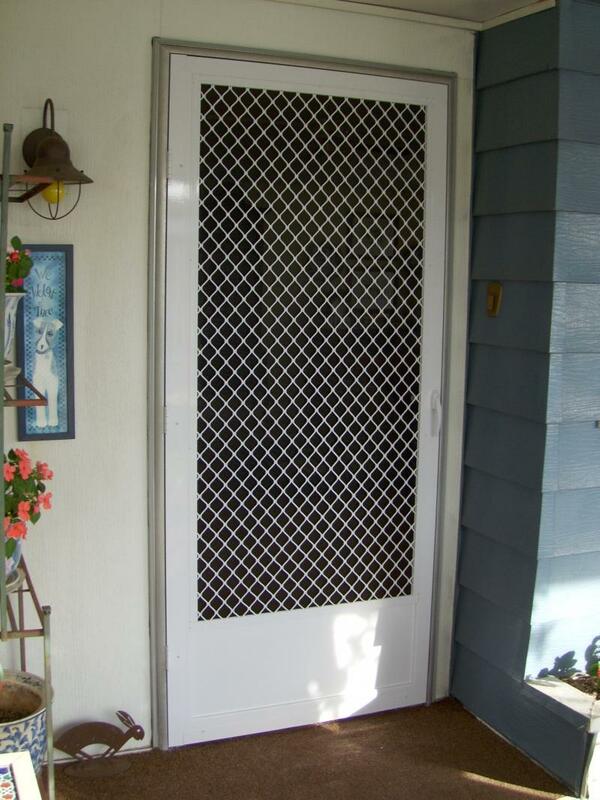 A pet door or pet resistant screen mesh can be added to any screen door for an additional charge. We order the screen to fit the size of your door. Even though the quality of these doors is far superior to the store bought doors, you will find that the installed price is very competitive.